Aumua, A. 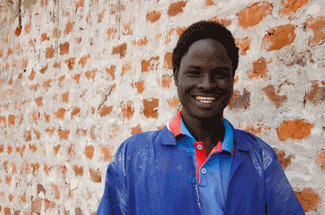 Youth employment for resilience in fragile and conflict-affected states. GREAT Insights Magazine, Volume 6, Issue 1. February/March 2017. The Pacific region is attempting to use strategic partnerships to address the growing challenge of youth unemployment in an environment with limited opportunities for sustainable development. The Pacific region consists of 22 countries and territories spread across the world’s largest ocean. The total population of this diverse region is around 10 million people, more than half of which is under the age of 25. It is growing fast, placing huge – and increasing – demographic pressures on basic resources and core services such as education, health and justice. 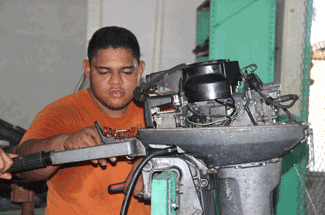 The average youth unemployment rates in the Pacific are 23% compared to a global average of 12.6%. A lack of statistical data and analysis on youth creates difficulty in identifying gaps and providing evidence to guide investments. Youth issues are often treated as stand-alone issues, unconnected to other issues, and often without addressing root causes. Compounded by a lack of engagement between partners, governments and young people, the task of responding to the situation of young Pacific Islanders is complex and challenging. There are few sources of large resources for regional youth programmes. The issue of ‘youth’ is still considered a ‘soft’ issue, beleaguered by its lack of statistical basis, its value-intensive mandate and a dilemma over the boundaries of what is defined a ‘youth issue’, both statistically and thematically. The Pacific Youth Development Framework (PYDF) 2014–2023 represents an important milestone for the Pacific region. It responds to the calls from young people, development partners and governments for greater support for the implementation of countries’ youth policies, and to address barriers to progress. The framework aims to be a catalyst for investment in youth, rather than a regional youth programme. The PYDF is structured around four development outcomes – prioritised by young people in the Pacific — and uses four strategic approaches which mark a significant change to the way youth issues have previously been addressed in the region. The four strategic approaches are focused on critical drivers for investment: strengthening development accountability through the engagement of young people as equal partners; statistical and analytical evidence, and strategic information to inform decision-making for policy and programming; promoting inclusion to target attention towards the most marginalised populations of youth; and working to mainstream youth to enhance outcomes across development sectors where resources already exist. The PYDF’s first development outcome is to address one of the greatest challenges confronting youth in the Pacific – to secure decent work opportunities. To meet this outcome, the PYDF determines that young people must have increased access to relevant education and training in formal and vocational sectors, more young people must be involved in entrepreneurship, and youth-friendly employment services must be established to connect young people to employment opportunities. Increasing targeted access to relevant education and training: SPC’s Youth@work Programme provides education and training for early school leavers, young women, young people living with disabilities, and rural youth, providing them with pathways to formal employment or entrepreneurship. Additionally, SPC provides training in renewable energy, organic farming, fisheries observer training and other areas of SPC’s scientific and technical portfolio. Partnering with youth: SPC recognises the potential and effective role that young people have in advancing development agendas that are inclusive and responsive to youth-specific issues. This involves creating space for youth leaders to determine their priorities and advocate for those with governments and development stakeholders, and providing guidance and mentorship to enhance their role as ‘development participants’. In supporting youth leadership, SPC has hosted the regional secretariat for the Pacific Youth Council (PYC) – the regional focal point for national youth councils in ten Pacific Island countries. SPC provides administrative support, mentorship and guidance and has supported negotiations, strategic planning and partnerships between the PYC and relevant development partners. The SPC/PYC partnership creates space for the PYC to exercise youth-led advocacy initiatives on their top priority – to increase targeted investment in youth employment. Strengthening evidence and strategic information: Recognising the need to improve the knowledge and awareness of specific challenges confronting Pacific youth in fragile and conflict-affected states (FCAS) in the region, SPC and the PYC worked in partnership with the Asian Development Bank to lay the groundwork for a series of youth-led country case studies. To best understand their challenges and opportunities, youth from nine countries were trained in participatory action research methodology at a regional workshop in May 2016 entitled, ‘The Future of Youth in Fragile and Conflict-Affected States: A Pacific Youth Research Workshop and Consultation on Skills Development and Employment. A continuing and strengthening partnership with the Asian Development Bank will support a series of youth-led researchers on the youth unemployment situation in countries in 2017 and will strengthen the evidence base to drive advocacy work in this area. Promoting youth entrepreneurship and youth-friendly employment services: The Pacific Youth Council has made progress in establishing youth-friendly employment services to support young entrepreneurs. Following a regional workshop aimed to build capacities of young entrepreneurs, the PYC then supported the First National Youth Employment Forum in Vanuatu, and through a partnership with the International Labour Organisation and the Vanuatu Chamber of Commerce, established the Vanuatu Young Entrepreneurs Council. There are also plans underway for similar councils to be launched in the Solomon Islands and Tonga for later in the year. These important services for young entrepreneurs will support job creation and will allow more young people to contribute to personal livelihoods and that of their families and communities. These strategies are imperative in addressing the challenges faced by youths in the employment sector and foster more opportunities for platforms of dialogue between youths and relevant productivity ministries and stakeholders. Moving forward, the Pacific Youth Development Framework will be a key document in guiding national governments and partners for increased investment in youth across development sectors and the inclusion of youth in future development discussions. Pacific Youth Development Framework (PYDF) 2014–2023. 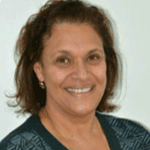 Dr Audrey Aumua is the Deputy Director General – Suva for the Pacific Community (SPC). Photo: Youth in training. Credits: Pacific Community (SPC).